Mr. Larry Jinks 70, of Savannah, Ga entered into eternal rest on Saturday, June 23, 2018 at St. Joseph’s Candler Hospital surrounded by his loving and devoted family. Funeral services will be held 11:00 a.m. on Saturday, June 30, 2018 at Tremont Missionary Baptist Church. Located at 1110 Martin Luther King Jr. Blvd Savannah, Ga 31415. Rev. 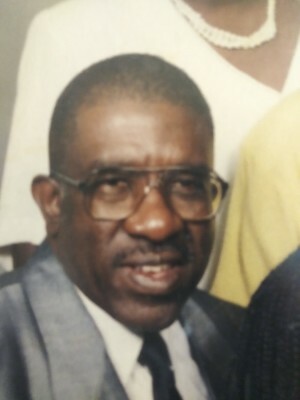 Quentin J. Morris, Sr, Pastor. Public viewing will be held 10:00 - 6:00 p.m. on Friday, June 29, 2018 at Bynes-Royall Funeral Home Chapel. Located at 204 West Hall Street Savannah, Ga 31401. Please sign our guest book. Interment: Magnolia Memorial Gardens Cemetery located at 5530 Silk Hope Road Savannah, Ga 31405.